A funny and cute Christmas card featuring a hand-illustrated 'cheeky little sprout'. The perfect card for a 2013 Christmas. 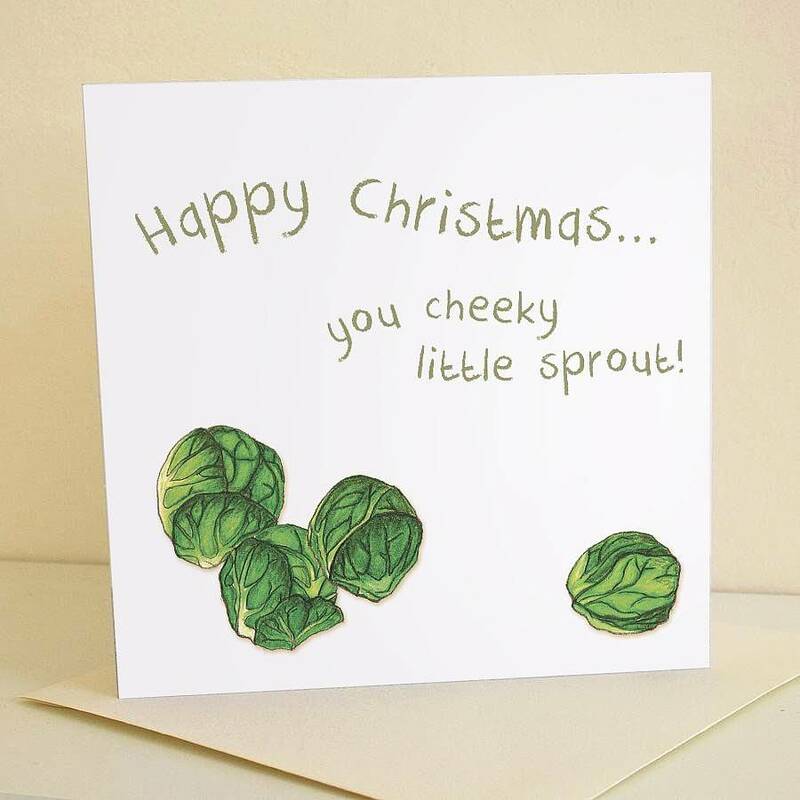 This brilliant card features a print of hand-drawn sprouts. Not just an amusing choice for Christmas, but a talking point too (and will look fab hung on the wall!). The inside of each card is left blank so that you can write a message of your choice. 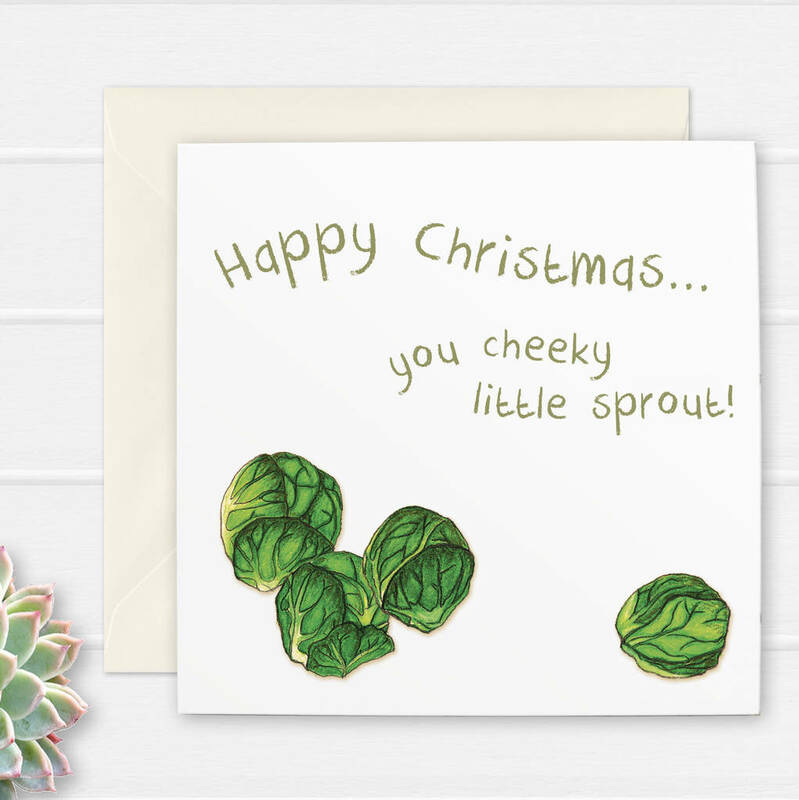 This card can be bought individually, or as a pack of five, ten or twenty. 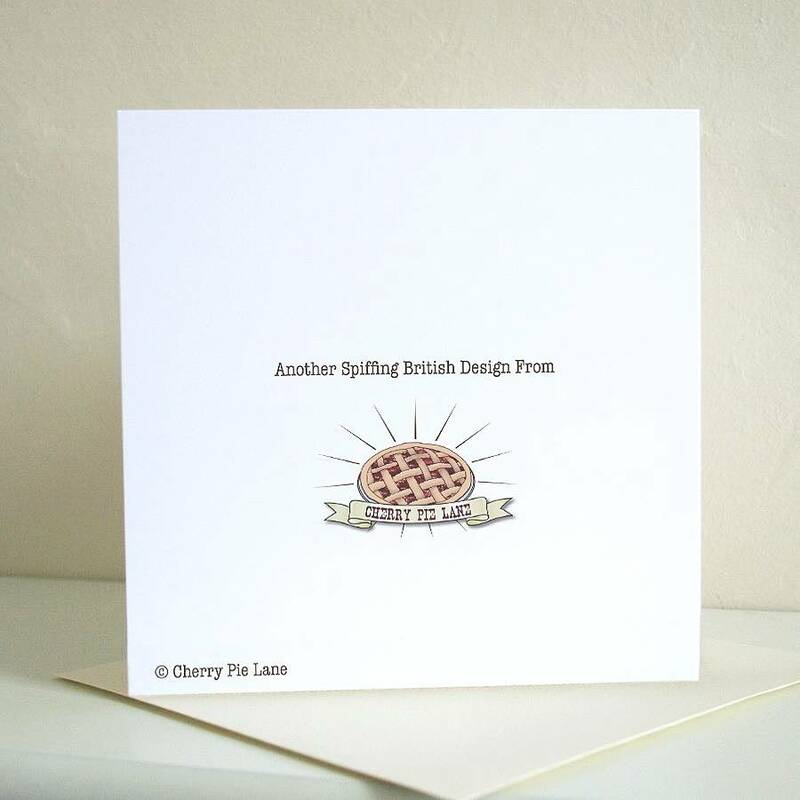 Your card(s) will come with a beautiful luxury ivory coloured envelope and packaged in a cellophane wrapper to protect them from dust and dirt, sealed with a 'Cherry Pie Lane' sticker. The cards in the packs of cards are not individually wrapped, they will be wrapped in cellophane as an entire pack. The image is printed on luxury 325gsm matte card and is an original digital scrapbook illustration by Charlie. Packed with a luxury ivory envelope in a cellophane bag. Each card measures approx. 15cm x 15cm.